Categorization of women based on severity of their health issues. The eligibility criteria of scheme isn’t strict, but it aims to ensure that only pregnant women take its advantage. 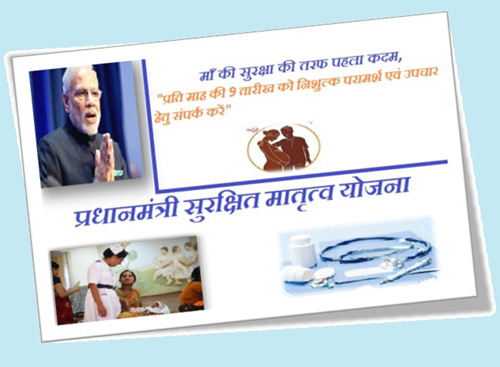 As a result, women pregnant for 3 – 6 months are eligible to receive free checkupsunder this scheme. The main objective of scheme is to improve the health of malnourished women during their pregnanciesto ensure the birth of healthy children. Since health of mother directly impacts the health of baby, it’s critical to keep women healthy while they’re pregnant. The scheme will try to achieve that objective by conducting free of cost health check ups for pregnant women at which doctors will examine the health of mothers and babies both. Another objective is to decrease the Maternal Mortality Ratio (MMR)of country. According to World BankIndia’s MMR was 174 in 2015. And though it is on a decline since 2010, there’s still a need of improvement as 174 deaths on every 100,000 pregnancy cases is still a lot. Under PMSMA free health checkup camps will be organized at various government and private hospitals in the country on 9th of every month. Eligible pregnant women will have to go to those camps where they’ll be examined for potential health issues by the doctors. After checkup is done, they’ll be issued a health card with a sticker placed on it. The color of sticker will vary depending on the severity of health issues found in any woman. For success of this scheme government has requested private medical practitioners to take part in it by providing their services free of cost to pregnant women on 9th of every month. That accounts to 12 days in an year, which any medical practitioner who wants to do some good work can afford easily. And finally, as an aggregate result of these factors, it can help in boosting the economy in long run as more satisfied and healthy people will be available as workforce within the country. Therefore, all of us (especially medical practitioners) should work together to make this program a successful one across the country. The government is doing its part, but its success will depend largely on the cooperation of medical staff and willingness of public.